An artist’s brilliance breathes new life into a desolate tobacco factory in Caguas, Puerto Rico. 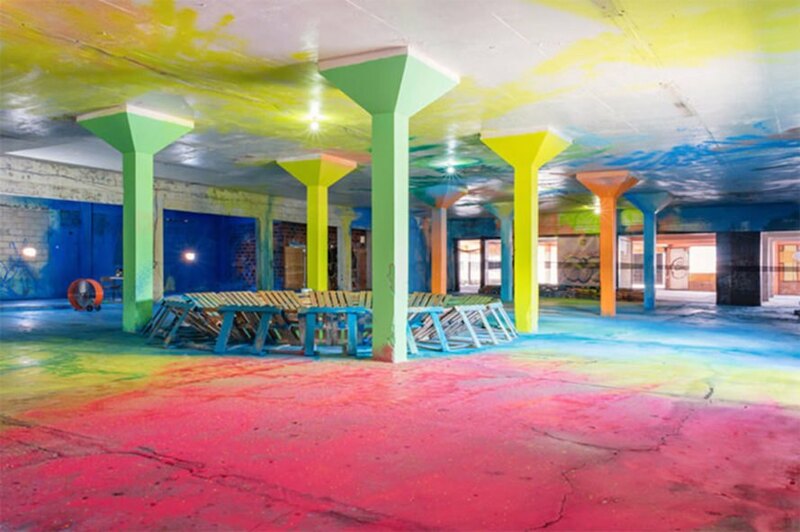 Bright sprays and colorful drips have seemingly exploded all over the factory’s formerly lifeless walls in local artist Sofia Maldonado’s eye-popping intervention, Kalaña. Created as part of Cromática: Caguas a Color, the community engagement piece transformed the building into a piece of art and new home to educational workshops, presentations, and other artistic events. 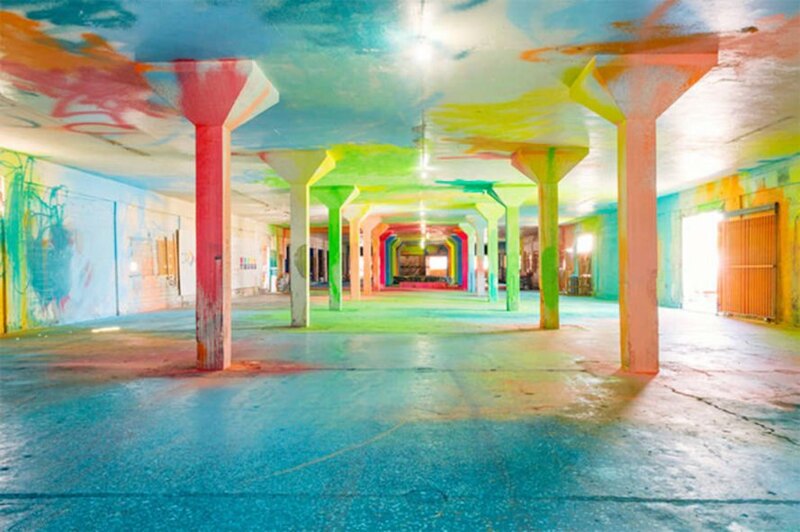 Puerto Rican artist Sofia Maldonado and her team of helpers used all parts of the factory interior as canvas. 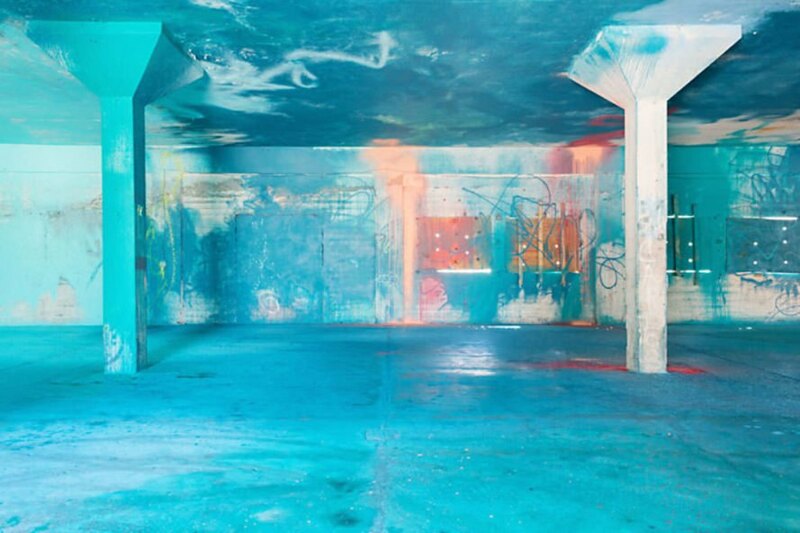 Florescent blues to neon pink and yellows are splashed across the concrete walls punctuated by a few scribbled tags while old graffiti peeks out from behind the latex paint. “My work is mainly inspired by colors and also the Caribbean way of living, and experiencing light and color,” said Maldonado. Kalaña injects a welcoming energy to the space and the bright colors help set the tone for positive community collaboration. Maldonado was one of seven artists to explore the intersection between art, community, and abandoned architecture in Cromática: Caguas a Color. The piece was completed in 2015. 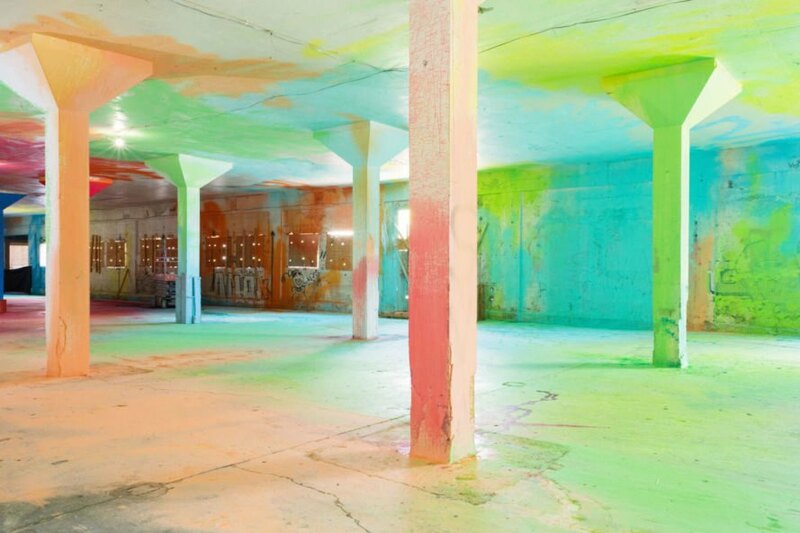 Puerto Rican artist Sofia Maldonado and her team of helpers used all parts of the factory interior as canvas. 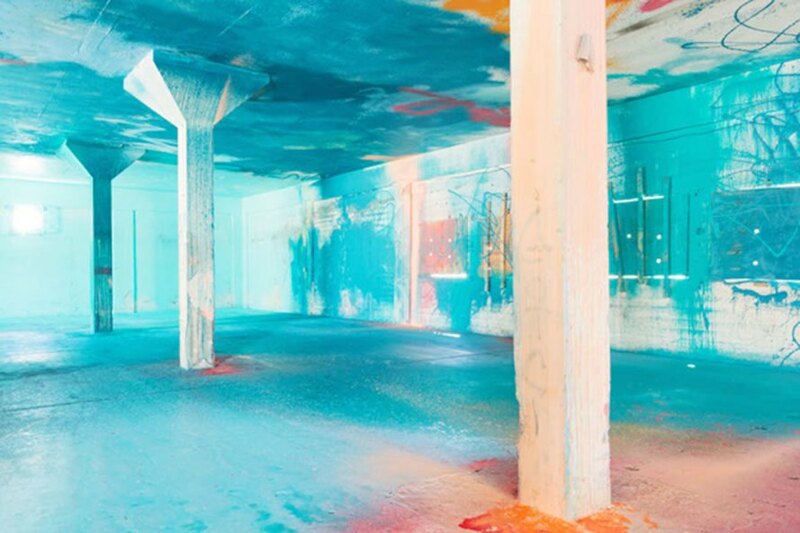 Florescent blues to neon pink and yellows are splashed across the concrete walls punctuated by a few scribbled tags while old graffiti peeks out from behind the latex paint. “My work is mainly inspired by colors and also the Caribbean way of living, and experiencing light and color,” said Maldonado. Kalaña injects a welcoming energy to the space and the bright colors help set the tone for positive community collaboration. Maldonado was one of seven artists to explore the intersection between art, community, and abandoned architecture in Cromática: Caguas a Color. The piece was completed in 2015.